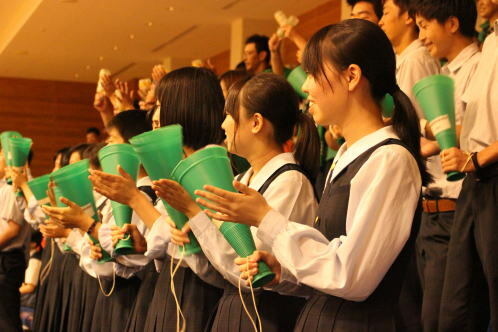 I have been an exchange student for 10 months at Kokufu High school in Kumamoto. On this page I have gathered pictures of interesting places or things I have seen during those 10 months. If you are interested in Japan, please do have a look. 「燦」meaning “illuminate”「叶」which means “fulfill” (a dream, etc.) and finally the character「壽」which signifies living a long life. 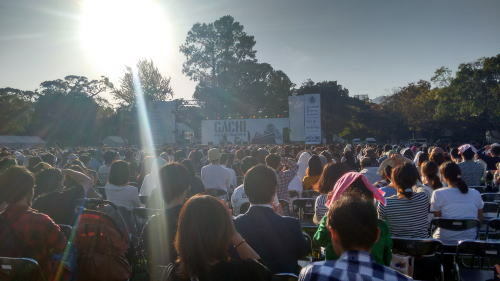 In October, different artists, more or less famous, came to in Kumamoto and produced themselves in front of the Kumamoto castle. Left: Panel in the station of Kumamoto. 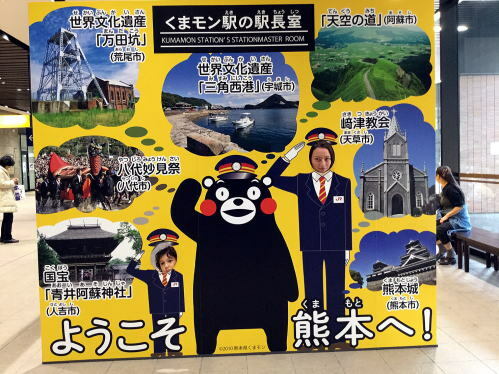 The bear in the middle is the symbol character of Kumamoto, called Kumamon. He is used as a publicity symbol and on a lot of local products. 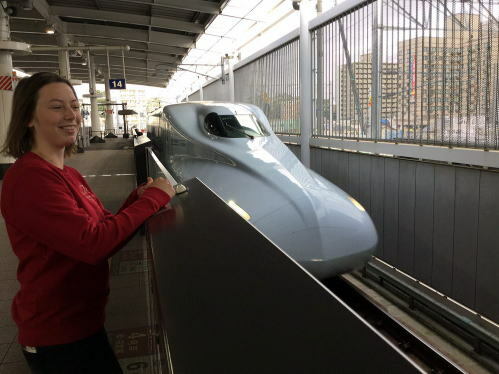 Right: Front of the Kyushu Sakura Shinkansen arriving at the station of Kumamoto. 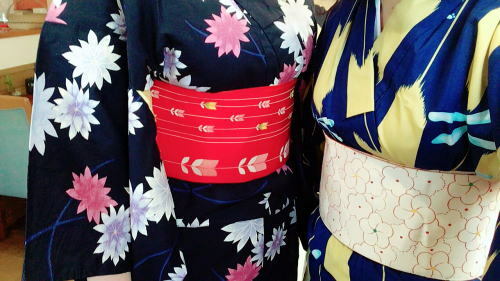 Back of a kimono and of the “obi”, that goes around the waist. It takes years of practice to master the art of dressing someone in a Kimono, you can take lessons and pass tests to check your level. 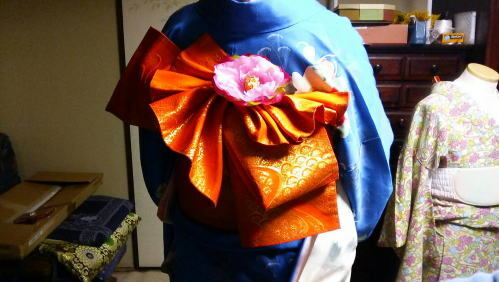 Front of a yukata, which is usually worn in summer, especially during festivals. They used to be worn as pajamas after coming out from the bath since they are made in a thinner fabric then usual Kimonos. 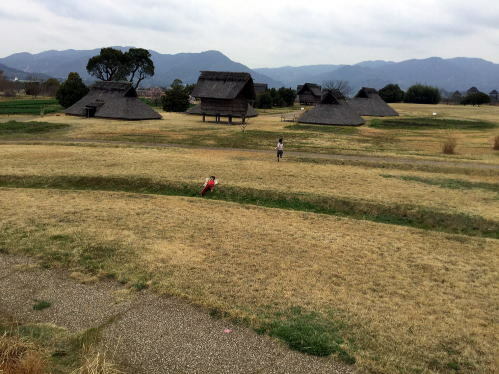 This place called Yoshinogariiseki, located in Saga, is a reconstruction of the Japanese houses from the Yayoi era (from the 5th to the 3rd century b.c.). 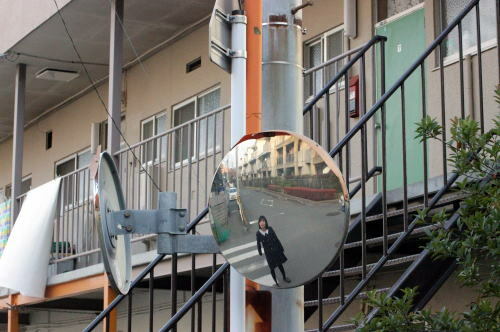 Random interviews are not rare in Japan. 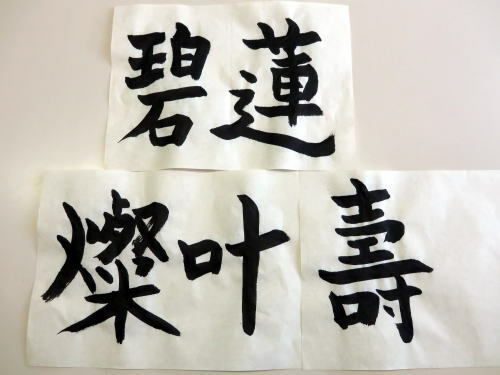 At the time, I was asked what Kanji I would choose to represent the year 2016. I chose to write 幸 which means happiness. In the end, the national Kanji chosen for 201６ was 金 meaning gold. 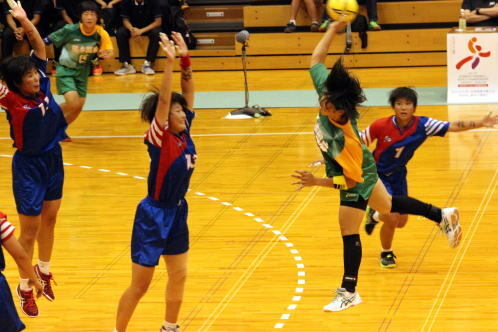 In December, the different classes compete against each other, the girls in volleyball and the boys in soccer. Fireplace in an ancient samurai house in Izumi. The wood board on the side hides the entry hole of a passageway build so that the children could escape in case of an attack. 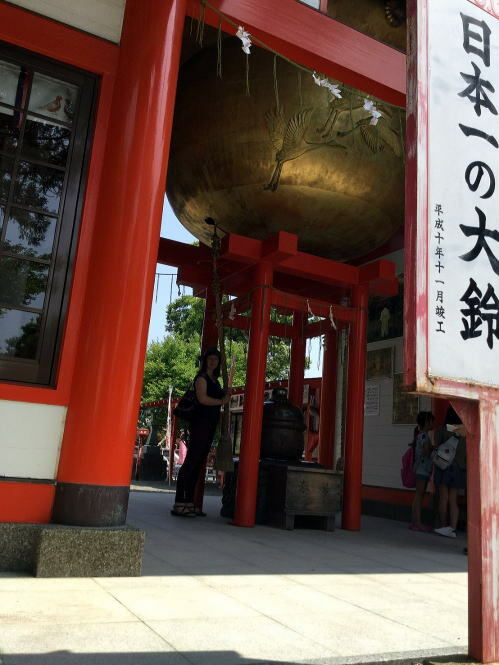 This is the biggest bell in Japan, situated at the entrance of a temple in Izumi. 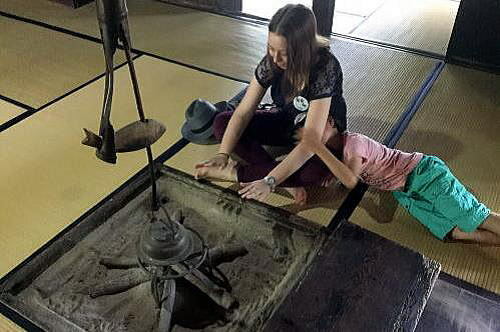 In this temple, there are also the smallest bells in Japan, which aren’t more than one millimeter big. 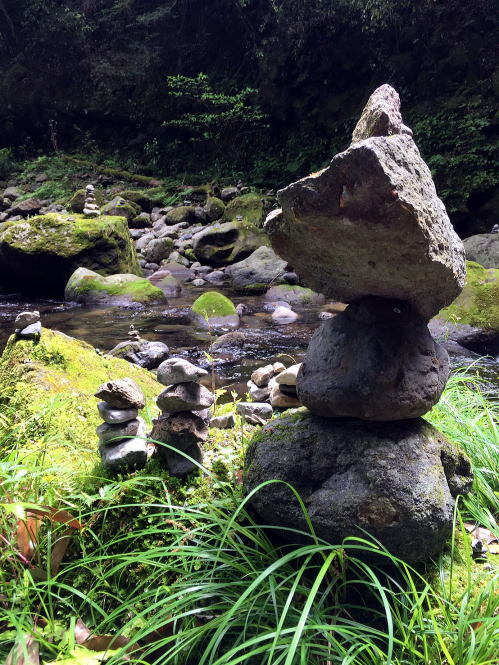 In front of the cave near the Amaterasu temple, there are more than a thousand piles of stones. In the old days, it was said that children who died before their parents, as a punishment, had to pile up those stones. But an ogre would come and destroy them so they had to do it infinitely. Nowadays parents put them as a prayer for their deceased child, symbolically trying to relieve him a bit from the burden of his task. Those are photos from our school trip in February. 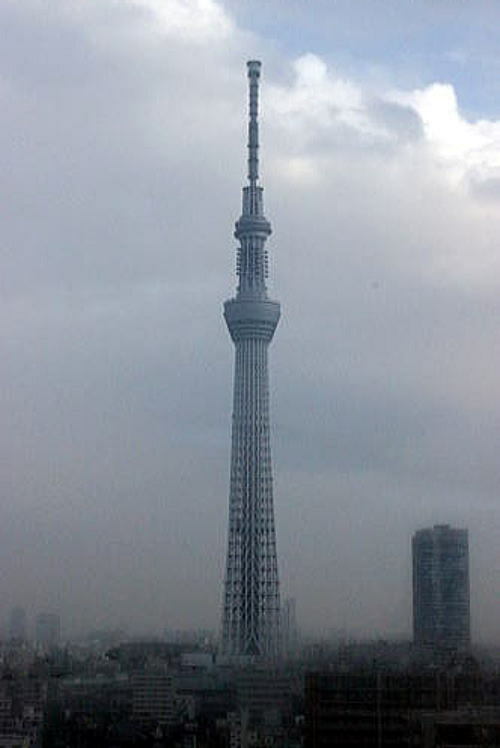 Left: The Tokyo Sky Tree tower seen from our hotel room. 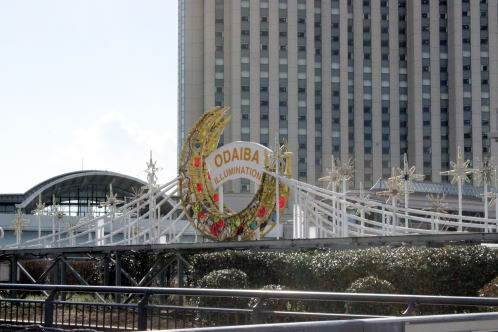 Bottom Right: Famous shopping and dating place in Tokyo called Odaiba, also known for being a television center. 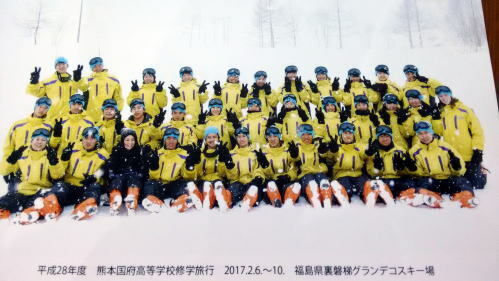 Bottom left: Skiing for two days in Fukushima. Chocolates from the class’s girls to the boys on Saint Valentine. One month later, on March the 14th, boys return the favor. That day is called “White Day”. Those two days are pretty looked forward to, and takes pretty big proportions as you can see. 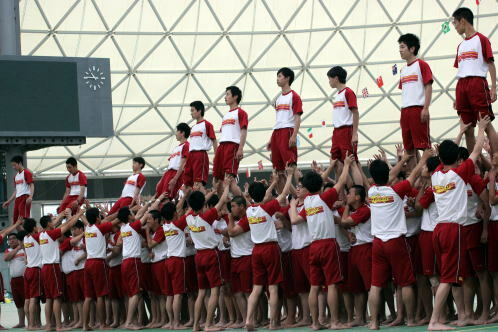 Performance of the boys from 3rd grade during the sport festival. 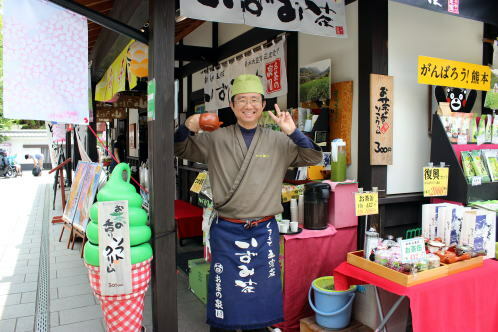 When the manabiya club members all went to the old town near the castle, the owner of this tea shop insisted that we took his photo. He was so nice we couldn’t refuse. 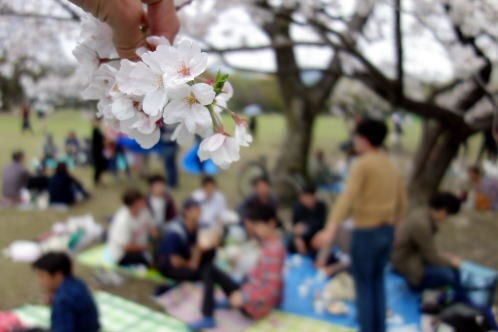 When the cherry blossom season has arrived, it’s a tradition for Japanese people to have a picnic under the sakura trees. 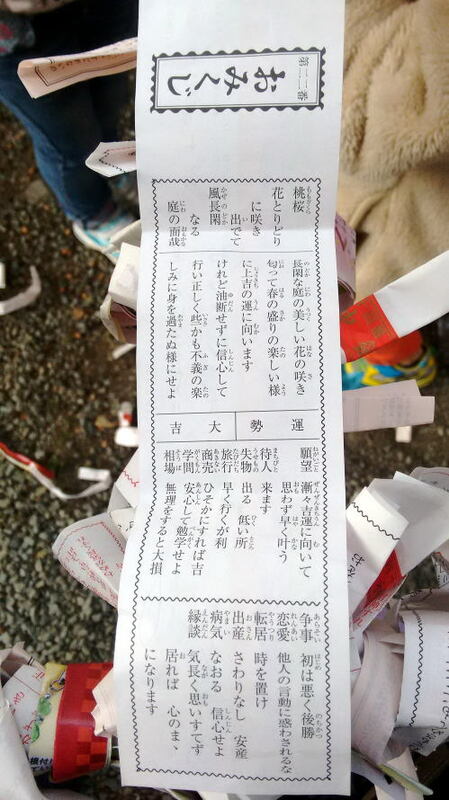 Left:You can buy omikujis at temples, they will give you predictions on your future love life, wealth, where to find things you lost, and many other things. 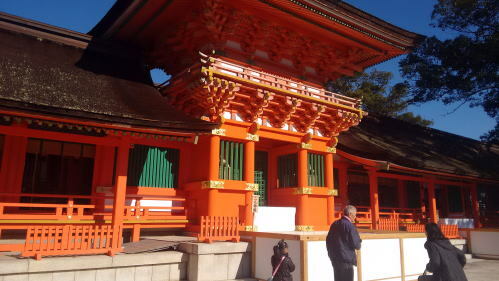 Right:Temple situated in Usa, in the department of Oita, very distinctive and beautiful with its red colour. 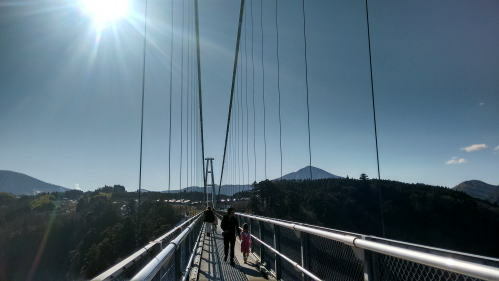 The Kokonoe Yume Otsurihashi, situated in Oita, is situated 173 meters high and offers beautiful sceneries of the mountains. 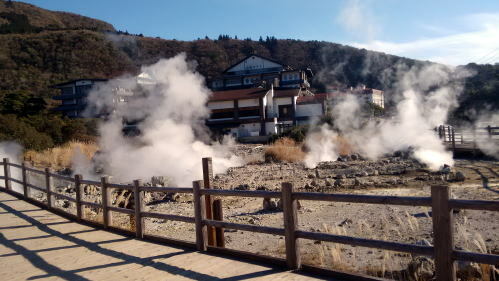 Japan is filled with those hot water springs called “hell’s hot springs”. The water sometimes turns various colors like blue or red due to the rocks in the soil. 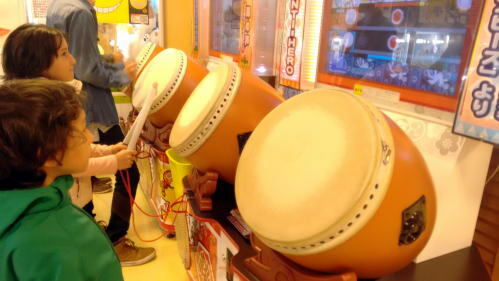 Game called ‘Taiko no Tatsujin’ where you have to beat the drum in time with the music. 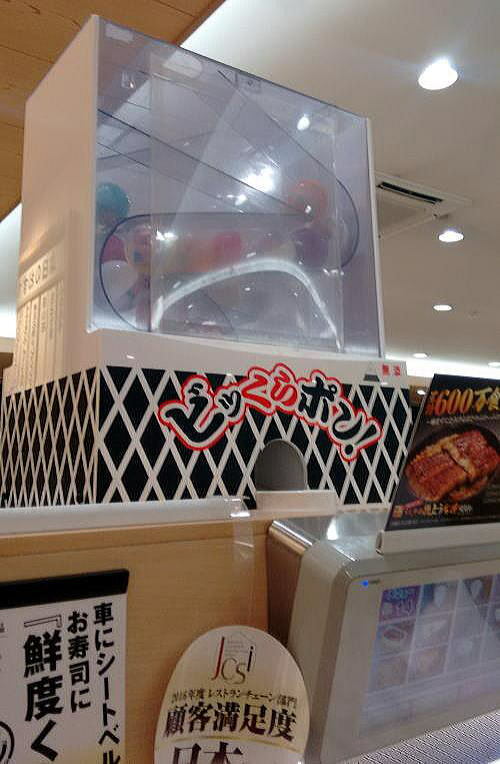 You will find it in every single game center in Japan. Bowl of ramen from a shop in the center of Kumamoto. 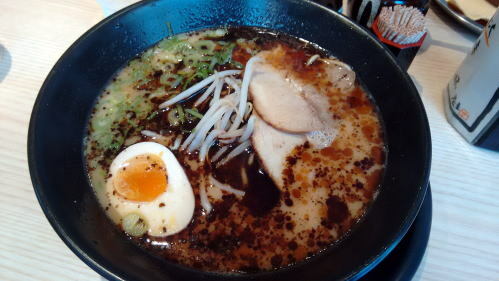 The specialty from Kumamoto is the pig bones’ ramen. 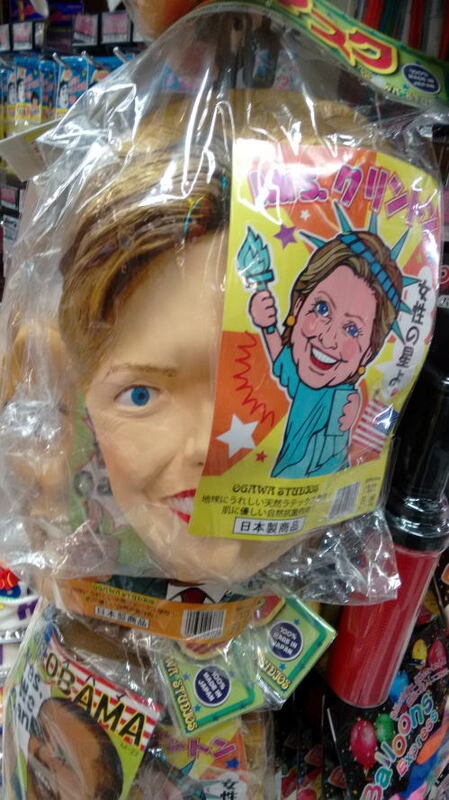 During the American campaign, here in Japan you could buy the mask of different politicians, like Tump, Obama, or Hillary. 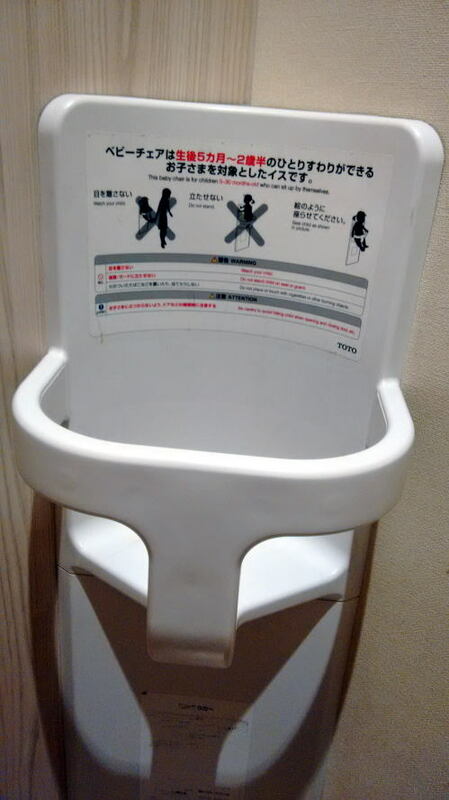 Those can be found in almost every toilet in Japan. It’s a seat for　baby for when you’re on the loo. 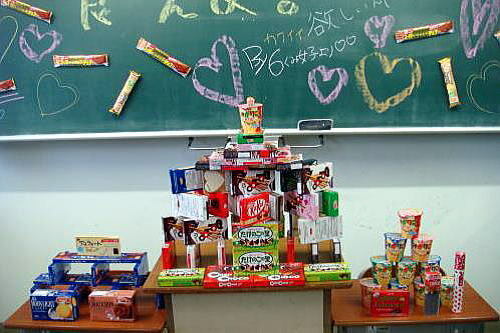 Japanese classroom. 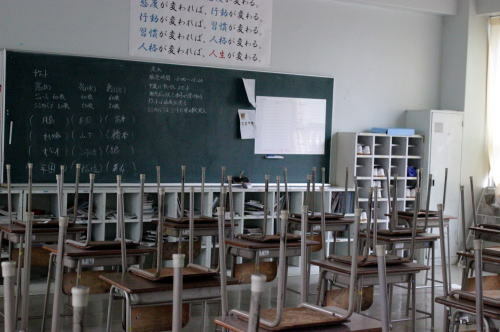 It’s the end of the day, the chairs are turned over on the tables because the students are about to clean the classroom. Each student has a locker at the back to store their textbooks. 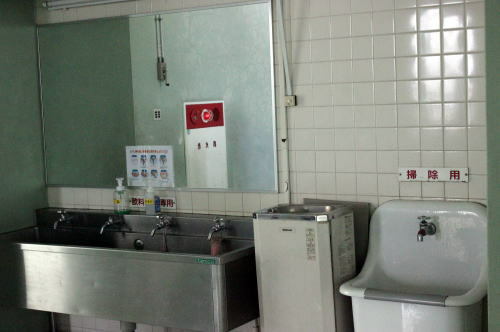 The sinks near the school’s toilet. The one on the left is used to clean your hands, the one the middle in the middle is to drink (a small water jet springs out in the air), and the one on the right is used for cleaning. 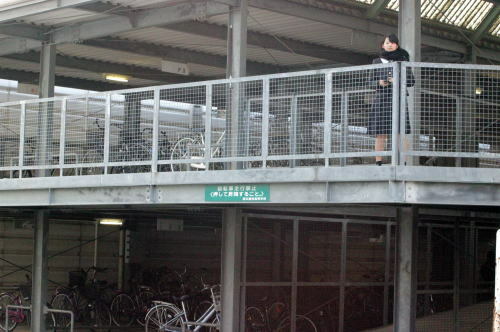 There’s a lot of students coming to school by bicycle, so at the entrance, there’s a bicycle parking with two floors. Bicycles all have a number given by the school in case something happens. Those are from a 100\ sushi shop. 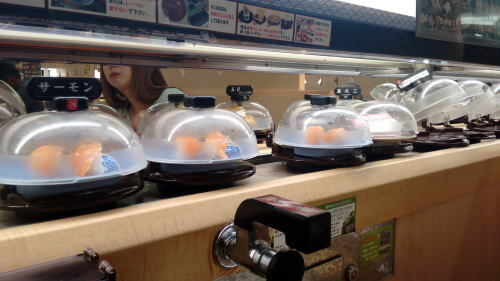 You can either from the screen on the bottom right corner or take directly your food from the turning plates. Every 10 plates, you have chance to win a present from the box over your table. 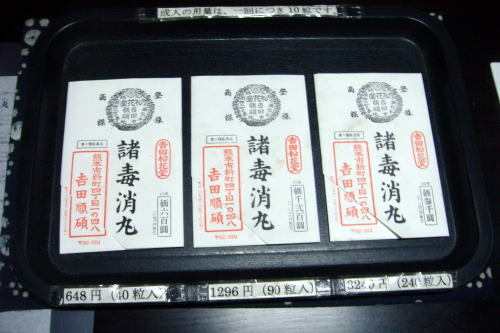 These envelopes contain medicine from the oldest pharmacy in Kumamoto. 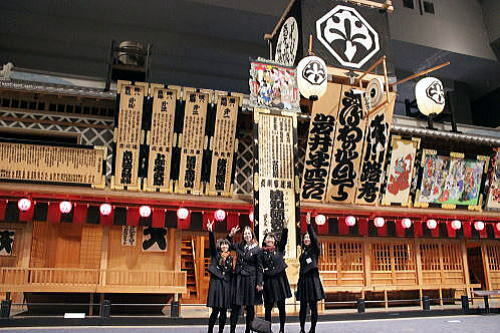 It exists since the Edo Period and sells medicine that is supposed to be effective against approximately anything. People rooting for our school’s team during the departmental finals of handball. Green is the official color of our school. 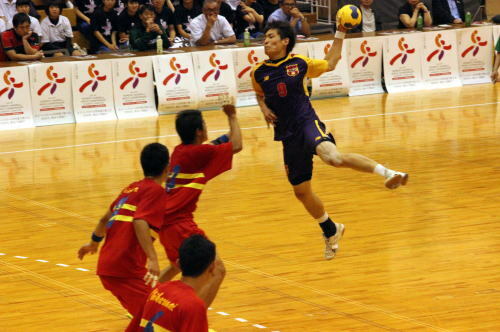 Handball departmental finals. Both the boys and the girls placed second.